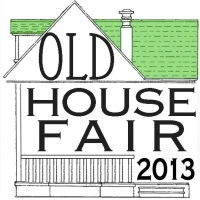 The 5th annual Lakewood Old House Fair will be Saturday, April 27th, 11 a.m. to 4 p.m. at Harding Middle School as usual. It serves as a home-improvement informational one-stop shop of about fifty-five businesses and services. Exhibitors must pledge to support and educate residents on goods and services that respect the integrity and maintain the quality of Lakewood's older housing. Most of the exhibitors are Lakewood businesses and/or Lakewood residents themselves. Therefore, they not only have professional experience with older homes but share an interest in maintaining the quality of our neighborhoods. This event is steered by a small team of Lakewood resident volunteers. However, it could not be brought to the community free of charge without the resources of private and nonprofit devoted partners: Lakewood City Schools Community Recreation and Education Department, The Lakewood Observer, and Lakewood Hardware. Stay tuned to future Lakewood Observer newspapers and online for more details. Are you a home-improvement or home-related business or service? For more exhibitor information visit Lakewood Hardware at 16608 Madison Ave., Lakewood, Ohio; www.lakewoodhardware.com; or by phone at 216-226-8822.